When I first saw one, I chuckled at the different possible meanings presented by both the original and the parody. 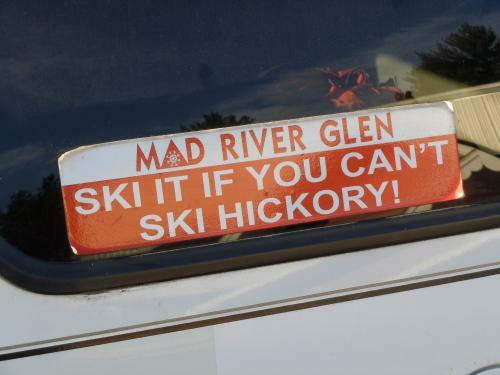 Like too many New York State skiers, though, I continued driving right past Hickory Ski Center on my way to Gore for years without much consideration for the mysterious mountain in Warrensburg. I knew the place operated on a similar principal to that at Mad River: preserving the classic, pre-corporate ski experience. 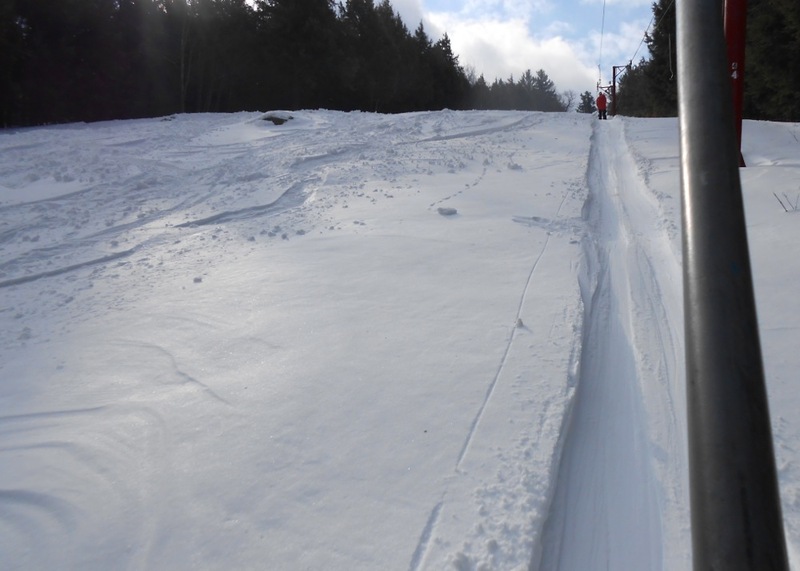 Unfortunately, part of that experience means Hickory doesn’t have any snowmaking, and in recent seasons sparse snowfall in the southern Adirondacks has left it closed more often than not. This week, though, with a nearly perfect storm gracing much of the northeast, I managed to take in my first dose of Hickory Saturday morning. Ironically enough, my adventures over the previous three-day stretch had been served by the venerable single chair on the slopes of General Stark Mountain. 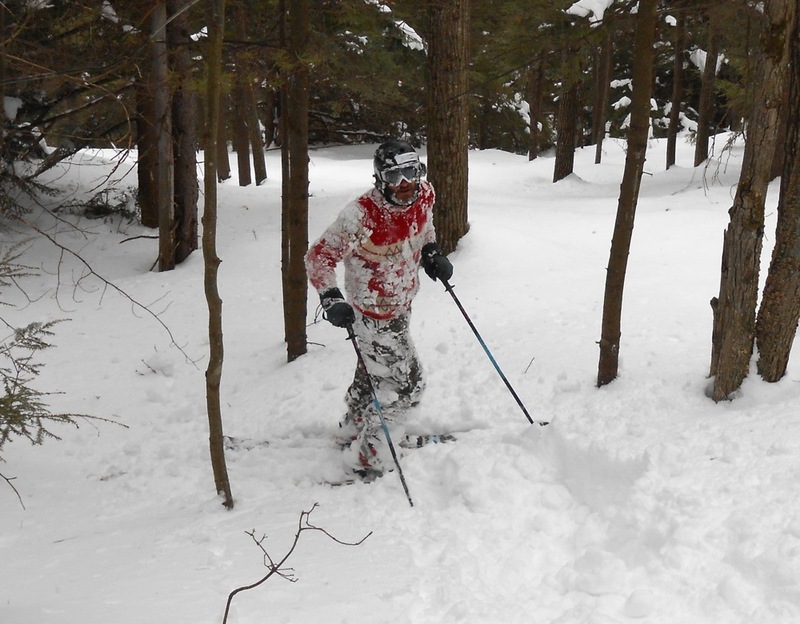 Further northeast than Hickory, Mad River had been in the storm’s sweet spot, picking up 22 inches of light powder that often skied deeper in the trees thanks to the wind. When I left Friday afternoon, every stash I knew had been skied, although everything was still in magnificent shape with packed powder and wind drifts. Hickory doesn’t operate midweek, though, so when I pulled into the parking lot Saturday morning, an entire mountain of lift-accessed, in-bounds, completely untouched lines awaited me and the approximately 200 others who would show up throughout the day. Sure, the snow totals hadn’t been as high there, but the lucky few of us who gave Hickory a try were certainly rewarded. When I mention that the untracked snow was lift-served, I should point out that Hickory operates entirely on surface lifts. There’s a handle tow up to the lodge from the parking lot, a lower-mountain T-bar, and the succession of Poma 1 to Poma 2 to get from the base to the top of Winfall, the trademark steep fall-line run that’s prominent from a distance. When I say that Hickory is driven by the old-fashioned spirit that drives Mad River, I should point out that Poma 1 is still driven by a carbureted Ford in-line six cylinder engine pulled from a car in the early 1970s. The ski experience doesn’t get more authentic. 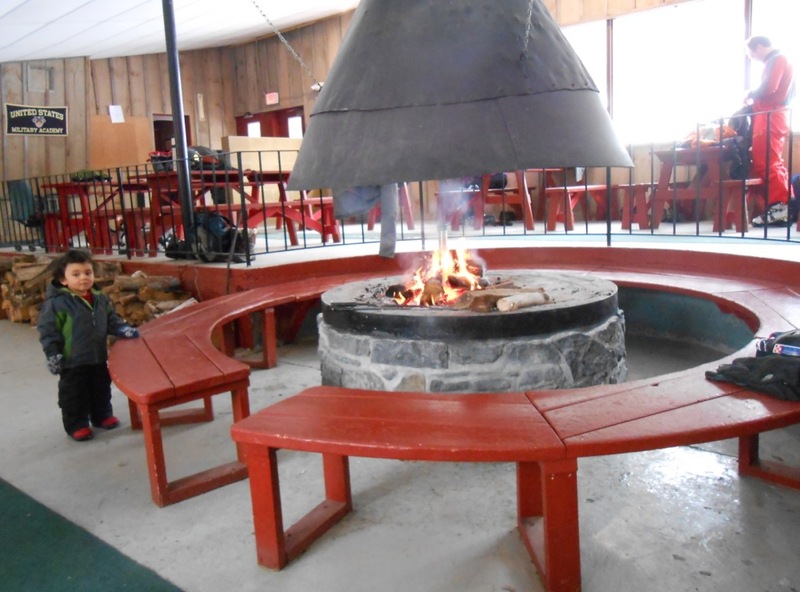 The lodge and facilities are all-original and one cat does some bare-bones grooming on the lower mountain trails. Tickets are inexpensive and the folks who sell them and who operate the lifts and patrol the trails do so as volunteers. Hickory is a local’s paradise, and I had the privilege of being shown around by Sean O’Neil, a volunteer who spends his work week at Tumblehome Boat Shop, a fixture on Rt. 28 between Warrensburg and Wevertown en route to Gore from the south. Sean gave me a tour of the lodge and led me down some of his favorite tree runs. As afternoon approached, March sun cooked the snow to a heavy and sticky consistency, but Hickory had already won me over. It’s difficult to explain how I managed to spend the previous 21 years so close by without skiing there. The people are friendly, the place is magnificent, and local or not, expert or beginner, you can ski it. I highly recommend you do. Awesome. I met Sean at a Tele event a few years ago. Good skier. I really have to get to Hickory sometime. Love the last pic with the old-school sweater. Great post! Welcome to the crew! Hickory rules. Pure and simple. It’s not a resort….it’s a mountain….it just happens to have a few burly surface lifts on it to get you to the top faster. 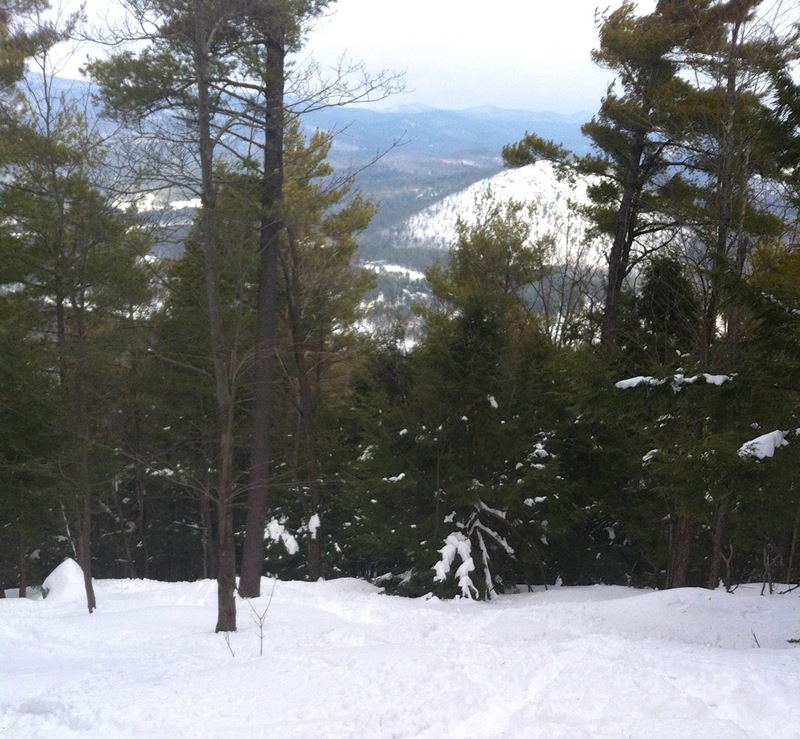 It’s a real skiers mountain…no fancy amenities, just epic terrain, natural snow and a loyal crew of like-minded people. In 20+ years I’ve never had a bad day at Hickory. I LOVE that mountain. Every skier and boarder that lives in the Northeast and appreciates the pureness and history of our sport should experience Hickory at least once. That’s all it takes to get hooked. I’m always happy to see more people discover Hickory. It will leave you with amazing memories and tear your legs off at the same time…lol. No rest at this mountain. It truly is a legend! Made some other believers that day. I got a number of inquiries on TGR about whether I would be there Saturday, when was opening bell, and how to get the goods. As I had a previous commitment to the FIRST NY Tech Valley Regional Robotics Competition at RPI in Troy, NY, I could not make it to Hickory. But I gave my buddies (Magic Mountain regulars) some detailed instructions on how to best enjoy their first ever day there, down to getting the ginormous “Famous Sub” from The Meat Store Of The North in Warrensburg. great post! This place is what skiing is all about; real snow, real people, real terrain. I can’t say enough about Hickory! I saw those guys from magic there and remember them from Gore the previous weekend! So happy to see others enjoying this place and hope to see more become apart of the hickory crew. I tell people that every time I am there, it’s like a family reunion; a chance to see familiar smiling faces and place that feels like home. What, are you still keeping Oscar’s a secret? For shame. I can’t drive by that place without spending 50 bucks. Wow, lots of coincidence here on this blog. 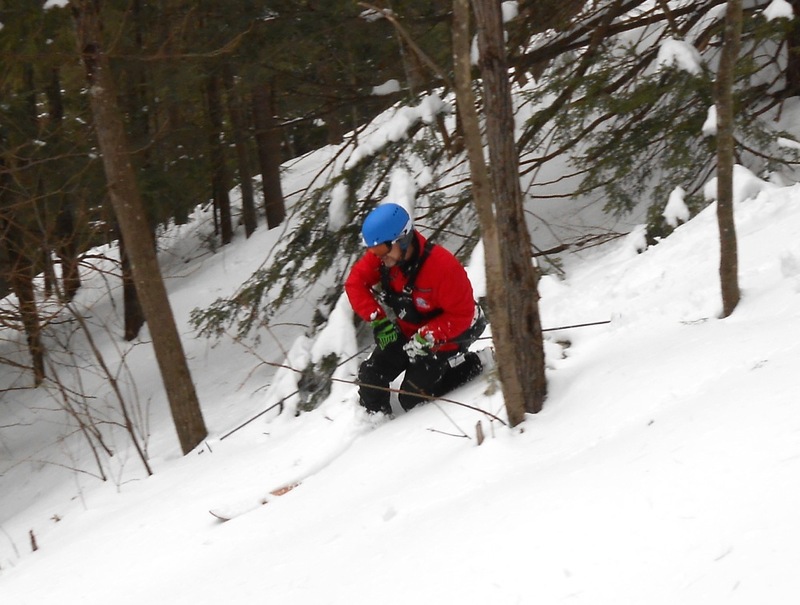 I also skied Hickory for the first time on Sat. I was at Mad River on Thurs. I’m one of the guys from Magic that was referenced above. We really had a great time skiing Hickory. The terrain is just what I hoped for. I loved catching air on the poma launch. The vibe is what skiing used to be like everywhere. This jewel of a mtn. and the few others like it need to stay in operation and not change. Everyone I talked to was extremely friendly and obviously in love with the place. Can’t wait to come back. I grew up there, skiing and in life, best memories. I mean really wow! Saturday was also my first time at Hickory. It’s old school like where I learned (Bobcat). Really cool mountain the way it took me back to a simpler time when skiing was real. 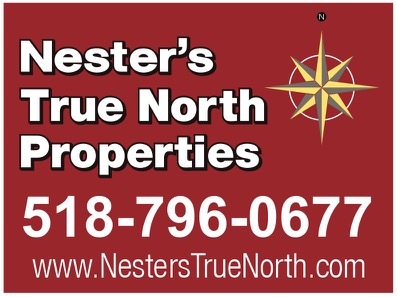 Super group of people working there also. The launch master, happy Valeri, the great brownie baker. The terrain is what everyone should experience. We definitely made the right choice to ski here instead of that other place up the road a piece. I love Hickory! The vibe Saturday was off the charts! YEAH MAN…..Hickory changed my view of the Daks forever! Despite the fact that I’m making my yearly pilgrimage to MRG, the Mecca of Northeast skiing in my mind, I now know that spiritual freedom is a only 20 minutes away in the name of HICKORY! Carving a notch into my boards tonight! Well, it’s not as though there’s been a ton of opportunities in the last ten years. Place closed after ’05, reopened a few years ago, but, lack of snow kept it effectively closed. That, and, weekends only, and I’d be surprised to meet any people with a lot of days there. The hick is an expert’s mountain and bring your rock skis.